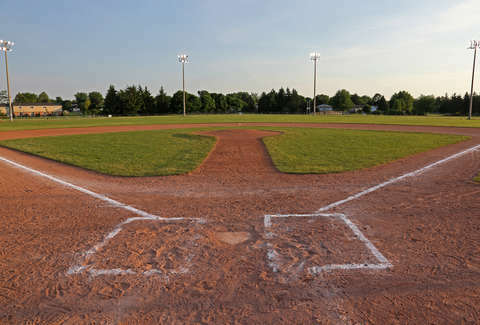 In order to dry out an infield in Ridgefield, Connecticut, someone poured a whole lot of gasoline over it and set it ablaze. Authorities say it could cost more than $50,000 to repair the damage done, per the Ridgefield Press. Six to eight inches of "gas-soaked soil" had to be removed from the field Saturday night and Sunday morning following the fire. In addition to large uncontrolled fires not being highly recommended, pouring gallons and gallons of gasoline into the soil is not good for the environment. To dry out the field, the unnamed person or persons who started the fire used 25 gallons of gas. Even Wile E. Coyote would probably say that's overkill. First Selectman Rudy Marconi told the paper that 75 to 100 people saw the event happen and many recorded it on their mobile phones. "The basepath -- the dirt part of the field -- was wet and it was evident that they'd have to relocate or cancel because of the conditions. Some had the idea to put gas on the surface. Let it burn to dry up the water and make the field playable," he said. "Unfortunately, it was not a very good idea. In theory, it sounded plausible, I guess, to those who participated."